The North Jersey Transportation Planning Authority, Inc. (NJTPA) is seeking consultant support for branding, advertising and other promotional activities for Street Smart NJ, a statewide pedestrian safety education campaign. The goals of the campaign are: to educate motorists and pedestrians about their roles and responsibilities for safely sharing the road; to increase enforcement of pedestrian safety laws and roadway users’ awareness of that effort; and to change pedestrian and motorist behavior to reduce the incidence of crashes. The NJTPA invites all qualified firms with experience in this area to submit proposals for this project. Responses to this RFP (“Proposals”) are due by 2:00 PM (ET) on January 31, 2018. The NJTPA is the federally-funded Metropolitan Planning Organization (MPO) for the northern New Jersey region, home to 6.7 million people and covering more than one-half of the state’s land area. The NJTPA Board consists of 20 voting members: representatives from the New Jersey Department of Transportation (NJDOT), New Jersey Transit Corporation (NJ TRANSIT), and the Port Authority of New York and New Jersey (PANYNJ); a Governor’s Representative; a Citizens Representative; and one elected official from each of the thirteen (13) northern New Jersey counties and from the cities of Newark and Jersey City. The NJTPA conducts comprehensive long-range transportation planning and annually oversees more than $2 billion in transportation investments for one of the most dynamic and complex transportation systems in the nation. The NJTPA sponsors and conducts studies, assists member planning agencies (known as NJTPA “subregions”) and provides a forum for interagency cooperation and public input into funding decisions. Pedestrian safety is an important component of New Jersey’s efforts to continually improve safety for all roadway users. It is critically important given the Federal Highway Administration (FHWA) designated New Jersey and Newark (the state’s largest city) as a pedestrian “focus” state and city, respectively. From 2011- 2015, 765 pedestrians were killed and more than 22,000 injured on New Jersey’s roads. On an annual basis, more than 4,000 pedestrians are injured and nearly 150 are killed in motor vehicle crashes statewide. New Jersey’s pedestrian fatality rate (nearly 30 percent in 2015) is almost double the national average (15 percent), while Newark leads the state in pedestrian deaths (45 fatalities between 2011 and 2015). In response, the NJTPA worked with its federal, state and local partners in FY 2014 to develop, pilot and evaluate a pedestrian safety education campaign targeted at all road users. Highway Safety Improvement Program (HSIP) funds, which are typically earmarked for infrastructure projects, were used for this initiative. While the NJTPA and its partners are investing in improving pedestrian infrastructure on local, county and state roads, crash data analysis confirms that engineering improvements alone will not fully address the high rate of pedestrian-motor vehicle crashes. 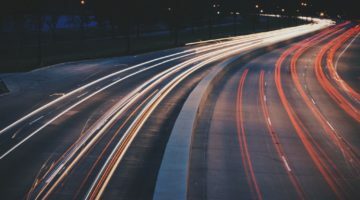 In order to change behaviors and improve safety, all of the “three E’s” of traffic safety – engineering, education and enforcement – must be addressed. The Street Smart NJ public education, awareness and behavioral change campaign was piloted and evaluated in five geographically and demographically diverse communities – Newark (urban), Jersey City (urban), Hackettstown (rural), Woodbridge (suburban), and Long Beach Island (shore) in 2013 and 2014. Since the initial pilot 65 municipalities, universities and agencies have participated in Street Smart NJ in some way. The NJTPA conducted a consultant-led effort in 12 municipalities in FY 2016 and FY 2017. Active local support and participation from law enforcement, political and community leaders, and stakeholders have been critical factors in the campaign’s success in these communities. – was added to address distracted driving and walking. The two consultant-led campaigns used advertising (transit, outdoor and online), extensive grassroots public awareness and law enforcement to convey its messages to the target demographic – males 20-69 years of age (both pedestrians and motorists) and all drivers 20-49 years of age and all adult pedestrians. All campaign collateral materials included a reminder that police are enforcing pedestrian laws for the safety of all roadway users with a focus not only on issuing citations, but also on educating motorists and pedestrians. Enforcement details were conducted at crash hot spots in the communities with consultant-supported campaigns. Law enforcement focused on motorists adhering to New Jersey’s stop for pedestrians in the crosswalk law and on pedestrians who jaywalk. Police officers also addressed speeding, illegal turns and distracted and inattentive driving and walking, which contribute to pedestrian-motor vehicle crashes in New Jersey. The Street Smart NJ Messaging and Media Support effort will build upon what was learned from previous Street Smart NJ campaigns. The selected communications consultant will work with the NJTPA and its partners – FHWA, New Jersey Department of Transportation (NJDOT) and New Jersey Division of Highway Traffic Safety (NJDHTS), the eight Transportation Management Associations (TMAs), AAA and others – to help create consistent pedestrian safety messaging statewide. The consultant will refine and retool, as necessary, the campaign’s multi-media messaging and collateral materials, and outreach and advertising plans. The NJTPA’s Board of Trustees and subregional (county/city) partners will continue to play a crucial role in helping to implement the campaign as well as to identify opportunities to promote and expand the campaign’s reach. The consultant will also work with the NJTPA to identify ways to strengthen the Street Smart NJ brand; attract new partners including colleges/universities, hospitals, other institutions and civic organizations; recruit communities to participate; and build public awareness across the state. The campaign has used billboards, transit ads, traditional media ad buys, social media and earned media to generate awareness and promote the Street Smart NJ messages. Existing collateral materials can be viewed at http://bestreetsmartnj.org/resources. Evaluation of the marketing campaign’s effectiveness will be essential to this effort. The consultant team will develop and execute an evaluation effort that includes an analysis of the campaign’s reach and impact in raising awareness of campaign messages and safe behavior. The evaluation should consider measures to evaluate immediate and longer term impacts of the campaign. A separate evaluation to be conducted by another consultant (already under contract) will focus on observing and assessing behavioral changes at campaign locations. A Technical Advisory Committee (TAC) comprised of representatives from the NJTPA and its subregions, NJ TRANSIT, NJDOT, NJDHTS, law enforcement, the TMAs, partner communities, and possibly other partners will be convened for this project. The TAC will reach out to municipalities; traffic safety, public health and local elected officials; and safety groups to solicit their participation as stakeholders. The TAC will serve as a resource for the communications consultant, review all consultant work products, and help guide the project. The following is a list of recommended tasks for this project. Unless otherwise specified, the consultant shall complete and submit all deliverables outlined. An approximate percentage of the entire project is indicated for each task. These tasks and percentages may be considered a starting point for configuring tasks, but respondents are encouraged to prepare proposals they consider to be the most appropriate to effectively and efficiently accomplish the stated goals of the project and produce quality deliverables. Note that although these tasks are presented below in sequential order, the consultant might find it beneficial to conduct work on different tasks in parallel, and may need to conduct work in a different order than presented below. In submitting cost proposals, budgets should be detailed for each specific task. There are several campaigns aimed at improving pedestrian safety in New Jersey. The state has adopted the national vision for highway safety — Toward Zero Deaths. New Jersey Division of Highway Safety (NJDHTS) has pedestrian and bicycle safety messaging as well as impaired/distracted driving messaging. AAA has passenger, pedestrian and driver safety campaigns. The Nikhil Badlani Foundation works with state and local officials to promote traffic safety. These are just a few examples of other state agencies and organizations that are also working to achieve some of the same goals of Street Smart NJ. The consultant team shall review other pedestrian safety campaigns and messages in the state to identify opportunities to improve consistency and collaboration with Street Smart NJ. Review other pedestrian safety campaign messaging in New Jersey. Prepare a memorandum detailing findings and identifying opportunities for better collaboration and improved consistency with the Street Smart NJ campaign messages. With guidance and feedback from the NJTPA and TAC members, the consultant team shall refine and/or retool the campaign brand, messaging, materials, and tactics. The consultant recommendations should take into account all collateral materials (posters, street signs, banners, tip cards, etc. ), online tools (website, Twitter, Facebook, e-blasts, cinemagraphs), press materials (press releases, op-eds, fact sheets, radio PSA), and paid media (outdoor, transit, online) used in support of past Street Smart NJ campaigns. The consultant should identify new tactics and activities for expanding the campaign’s visibility in communities throughout the state, including NJDHTS grantees who are addressing pedestrian safety and selected communities that received funding from the NJTPA’s Local Safety Program (LSP) for engineering improvements that incorporated pedestrian upgrades at hotspot locations. Tactics may vary according to the unique needs of community types (rural, urban and suburban). As part of this effort, the consultant shall also review the Street Smart NJ social media guides to develop new social media messaging — including a library of seasonal images and graphics — that could be used by the various agencies and organizations in the state working to improve pedestrian safety throughout the year. Technical memorandum outlining the approach and rationale for refining and/or retooling the campaign brand and messaging. Develop an updated social media guide with images and graphics formatted to various social media platforms (Twitter, Facebook, Instagram). The consultant shall develop and implement a strategic communications plan for FY 2018-FY 2019 that capitalizes on the successes and addresses any shortcomings of past campaigns. The plan will be reviewed and approved by the NJTPA and the TAC, and shared with partner agencies for their input. The plan should target at least six communities for campaigns with assistance provided by the NJTPA and the TMA covering each community. In addition, the plan should address recruiting support and participation from new partners including colleges/universities, hospitals, other institutions and civic organizations. The plan should outline strategies and tactics for achieving project goals including how paid, earned and owned media will be leveraged and the corresponding development and implementation costs. While paid advertising was used in prior campaigns, the consultant should leverage earned media to the greatest extent possible. When negotiating ad buys, priority should be given to channels that provide special incentives to maximize campaign funds. The cost of ads, social media and other information outlets should be part of the consultant budget for the project. In addition to media, the consultant should also consider opportunities to engage a diverse range of community members, including students, senior citizens and low-income and minority residents, to generate additional awareness about pedestrian safety during and after the campaign so that it is institutionalized into the community. Developing hands-on programs that foster learning and leadership should be considered. The plan should also detail what collateral materials will be used to reach the target audiences and include the design and production costs for any new pieces and/or for existing pieces that will need to be refined/retooled. Potential collateral materials could include new signage designs, updated graphics, additional cinemagraphs and new products. The plan should also include a detailed timeline that takes into account all front-end work associated with the campaign, including supporting two kick-off events with demonstrations. The consultant will be expected to propose possible demonstrations that will attract media and public attention and develop plans, scripts, materials and other elements needed to execute the chosen demonstration. The consultant must adhere to the schedule and budget outlined in the approved strategic communications plan unless approved by the NJTPA. A strategic communications plan with detailed budget and implementation schedule, with tactics specific to the different kinds of communities (Rural/urban/suburban communities, DHTS grantees, or LSP improvement recipients) outlined. Assist the NJTPA and participating TMAs and communities in implementing the strategic communications plan in at least six communities, including, as needed, arranging ad buys, developing customized materials, creating multimedia materials, etc. Plan and support two campaign kick-off events with demonstrations to attract public/media attention. To position the NJTPA and its Board as leaders in addressing safety through the expansion of a pedestrian safety education campaign that can be replicated and customized by communities across the state. The evaluation should include an assessment of the effectiveness of campaign strategies and tactics (i.e., what ads and message did and did not work) and an analysis of the number of people the campaign materials reached, including media impressions. This evaluation should also include recommendations for refining messages, advertisements and outreach methods that were less successful. Detail how many people viewed or heard campaign messages through each of the various outreach methods. Complete a final report detailing evaluation findings and recommendations for improving campaign reach in the future. The consultant shall establish an effective means of coordinating and reporting its activities with NJTPA throughout the course of the project to ensure an expeditious exchange of information. A detailed project schedule shall be submitted at the kick-off meeting for the NJTPA’s review and approval, and reviewed regularly during the course of the project. The consultant shall follow the approved schedule as closely as possible throughout the course of the project, with any changes subject to approval of the NJTPA project manager. The consultant’s project manager shall be responsible for the preparation of meeting agendas, including handouts and/or electronic slideshow presentations if applicable, and minutes. The NJTPA shall be informed a minimum of one week prior of all meetings with outside agencies, state and local government officials and/or groups so that NJTPA personnel may attend, if necessary. Reporting and invoicing requirements shall be in accordance with the terms of the standard contract agreement. In general, the consultant shall be responsible for preparing and submitting a monthly progress report and progress schedule indicating percent of work complete that corresponds to the reporting period of the monthly invoice. The progress reports shall include all active and completed tasks, and shall indicate the percent of work complete (total and by task), work and submittals completed in the last month and to be performed in the next billing period, meetings, actions/decisions required by the NJTPA, and the status of the schedule and budget. In addition, the consultant shall be available to discuss project status on a bi-weekly basis (either in person or via conference call) to ensure the project remains on track and within budget. A minimum of three (3) face to face meetings throughout the project at the NJTPA with all key personnel of the consultant team and NJTPA staff is required. 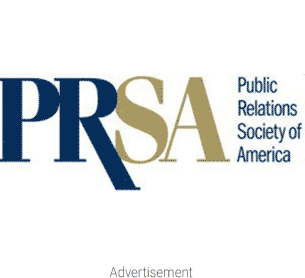 Coyne PR and MWW PR are strong New Jersey PR firms.